We’re all familiar with the concept of the “war for talent” and we know it’s more than a buzzword, it’s a business reality. Talent acquisition and retention has gone from an “HR issue” to a key business concern. According to the Harvard Business Review, CEOs list the ability to attract and retain talent as a greater concern than global competition, regulations or legislation. Now is not the time to wring your hands and declare defeat. In the midst of this great challenge lies an even greater opportunity to leverage your expertise, build partnerships within the organization and reinforce your value as a business partner. Generational expectations: Research provides surprising insight into what the different segments of the workforce value most in an employer. Strategies for engaging job seekers (passive and active) beyond traditional job postings. Leveraging your culture as a competitive advantage. Hint: “Work hard, play hard” is played out. A game plan for gaining great hiring manager involvement. Jenifer Lambert, CPC is Vice President and a partner in TERRA Staffing Group, one of the largest privately-held regional staffing firms headquartered in the Pacific Northwest. Today, TERRA is comprised of eight offices in the Seattle, Portland, OR and Phoenix metro markets. TERRA has been four years running named to Inavero’s Best of Staffing list–an honor awarded to less than 2% of staffing firms nationally based on exceptionally high client and candidate satisfaction scores. Jen has been featured in business publications including “Selling Power” magazine and is a top-rated speaker at HR and recruiting conferences. Jenifer was inducted into the Pinnacle Society, a consortium on the nation’s top producing recruiters, in October 2008. In addition to her role at TERRA, Jenifer coaches, consults and trains recruiters and staffing firm owners across the country. 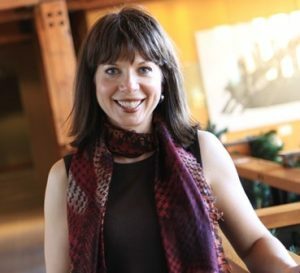 Jenifer was recognized by the Northwest Human Resource Management Association with their “Distinguished Member Award” and is the past Chair of the Association of Washington Business’s Human Resources Council.